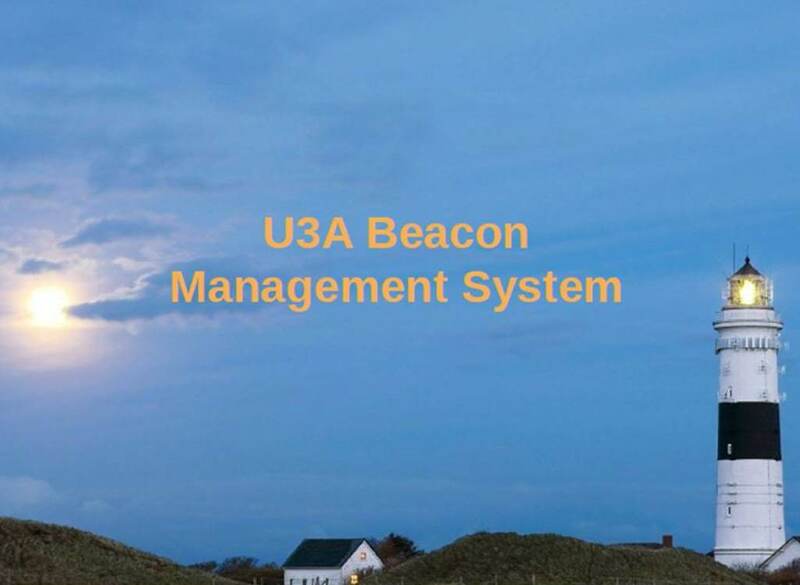 BEACON is an online management system developed specifically for U3A’s. We use Beacon to manage our Membership Records, Groups & Venues information, the Meetings Calendar, keeping in touch with our members by email and recording of groups’ income and expenditure. And new for 2019 you may renew your membership online. Click View Public Groups to see the basic public version of the Groups List, as shown in the 1st photo on the right. 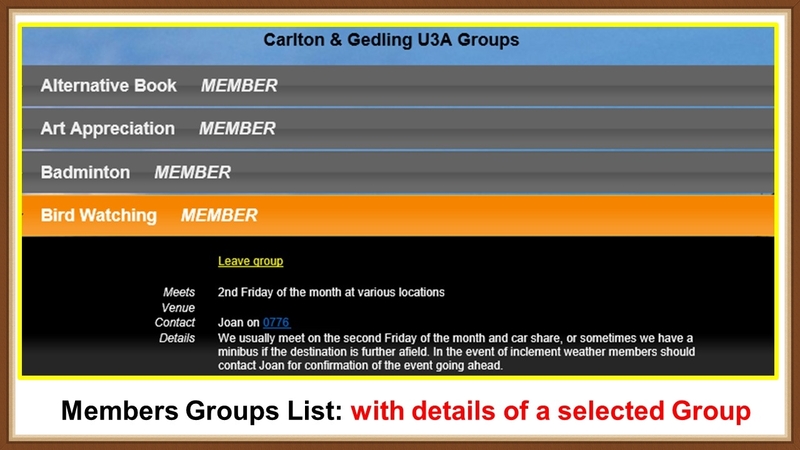 Click on any Group in the list for additional information about the group. Click View Public Calendar to see the basic public version of the Calendar, as shown in the 2nd photo on the right. For more information about navigating around the Calendar, visit the Calendar page. 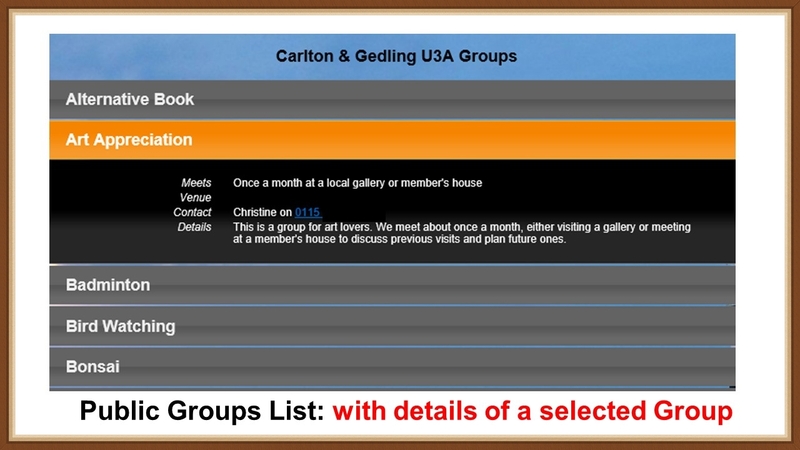 If you are a current paid up member of Carlton and Gedling U3A, you can click to Login to the Members Portal where you can view additional Groups and Calendar information (as shown in the 3rd and 4th photos on the right). 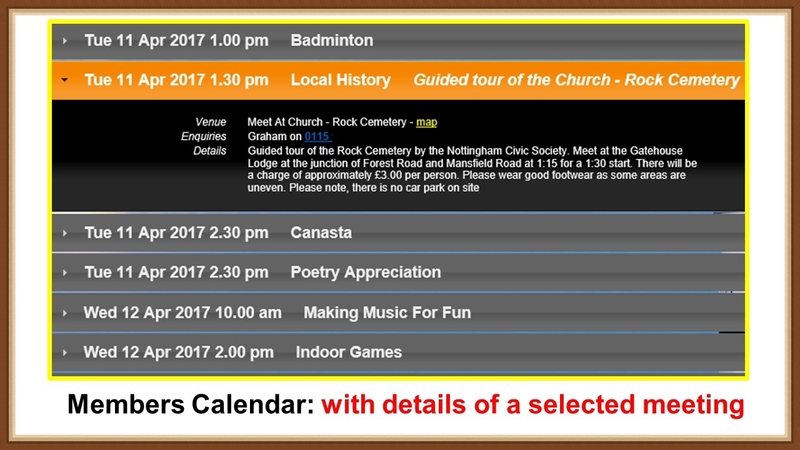 You can also add yourself to Groups, create your own personalised Calendar, update your personal details, upload a photo of yourself that will be incorporated on your membership card and renew your membership online. Clicking how to login as a Member will give you more information about the functions available to you after logging in to the Members Portal. Group Convenors and Committee members can click to Login to Beacon as a System User and update certain information within the site, depending on the access rights associated with their role. There is comprehensive guidance to using Beacon in the Training area of the new Beacon Website and in Carlton & Gedling’s own custom User Guide chapters below.